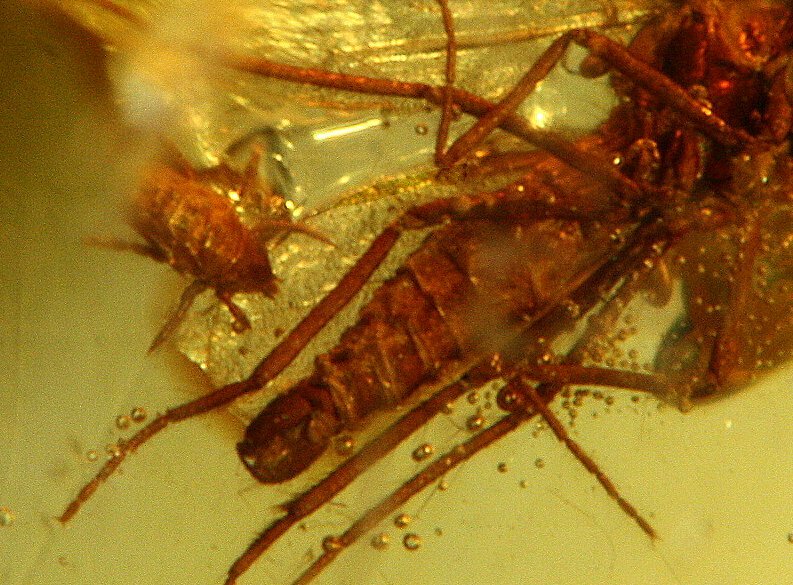 This fossil is a very rare glimpse into ancient Parasitic behaviour. This is a large True Midge giving a ride to a Parasitic Mite (Acari). 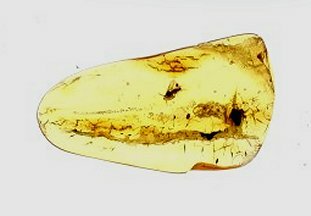 This activity was all captured in this chunk of Baltic Amber. You can easily see the phoretic Mite attached to the leg of the Midge. The Mite would then feed on the life juices of the host fly. 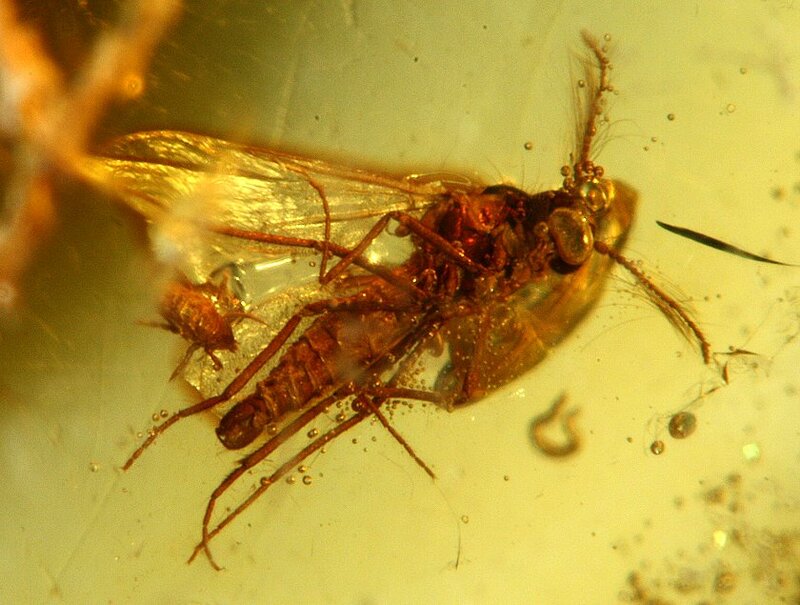 This is an uncommon occurrence in the fossil record, and an example this dramatic is extremely rare. This is a textbook example of parasitic behaviour that is 50 Million Years Old .